The band started out as The Blue Velvets, formed by John Fogerty, Doug Clifford, and Stu Cook in El Cerrito, California, United States in the late 1950s. They were an instrumental trio, however during the early '60s they began backing Tom Fogerty, John's older brother, for school dances at El Cerrito High School, on fraternity house gigs and in the recording studio. By the mid 1960s, the band signed a contract with Fantasy Records which was a local label based in San Francisco at that time. They were attracted to the label because Fantasy had released a national hit by Vince Guaraldi, "Cast Your Fate To The Wind". Fantasy officials changed the group's name to The Golliwogs, an apparent reference to a once-popular minstrel doll called a Golliwogg. Seven singles were released in the San Francisco Bay area, but none received national attention. (However, in 1975 Fantasy released Pre-Creedence, a compilation album of recordings by The Golliwogs). Eventually John Fogerty took control of the group, writing most of their material and singing lead vocals. The band's first album as Creedence Clearwater Revival was released in 1968. A cover of the Dale Hawkins Swamp Rock classic "Suzie Q." became their first hit single (the song was later featured in the movie Apocalypse Now). 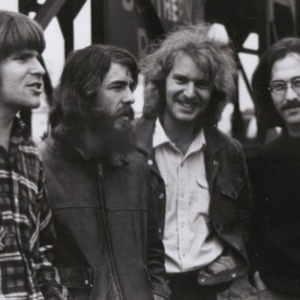 As a result, Creedence Clearwater Revival is considered part of that distinctly American Swamp Rock music, exemplified again most prominently in their song "Born On The Bayou". By 1969, the band really began to find its voice; "Proud Mary" became their second hit single and also was a big hit for Ike and Tina Turner. It was followed by a series of successful songs, including "Bad Moon Rising", "Green River", "Down on the Corner", "Travelin' Band", "Who'll Stop the Rain? ", "Have You Ever Seen the Rain? ", "Up Around the Bend", "Fortunate Son", and "Lookin' Out My Back Door." Due to John Fogerty's success as writer, singer, and frontman, the other band members began to feel like they were being held back. His brother Tom left the band in 1971, to pursue an unsuccessful solo career. John Fogerty insisted that bassist Stu Cook and drummer Doug Clifford share equal songwriting and vocal time on the band's final album Mardi Gras in 1972. Many have speculated that Fogerty did this in anticipation of poor sales, in order to prove to brother Tom (and the rest of world) that his songwriting had always been the real commercial talent behind the band's success. The album did indeed receive poor reviews and sales, and the group disbanded shortly afterwards. John Fogerty bought himself out of his contract with Fantasy Records and eventually established a successful solo career. In 1990, Tom Fogerty died of AIDS, which he contracted from a blood transfusion. CCR was inducted into the Rock and Roll Hall of Fame in 1993. At the induction, Tom Fogerty's widow brought the urn containing his ashes for a CCR "reunion," but John Fogerty would not perform with his fellow bandmates. Band members Doug Clifford and Stu Cook formed a band in 1995 with other musicians called Creedence Clearwater Revisited. They perform globally, only performing the original band's classics. John Fogerty still has no communications with Cook and Clifford. Creedence Clearwater Revival was somewhat unfashionable during the time they were active, because they concentrated on tightly-focused, well-crafted singles rather than long, loose album cuts. However within a few years of their breakup their legacy became secure as one of the great American rock bands, and they heavily influenced the entire genre of heartland rock. Fogerty's songs are considered classics of the rock form and have been covered by countless artists; "Fortunate Son" in particular is revived whenever America goes to war. A new live version of "Fortunate Son" by John Fogerty was recently released as part of his 2005 compilation album The Long Road Home which combines both his Creedence and solo hits. "The guitar solos on such songs as "Suzie Q", "Heard it Through the Grapevine" and "I Put A Spell On You" are believed to be played by Steve Cropper of Booker T & the MGs." This assertion seems to be a strange entry by an unknown commentator, it seems unlikely indeed considering the obvious prowess of John Fogerty as a Guitar player, his subsequent solo playing on "I Heard It Through The Grapevine", "Gloomy", "The WorkingMan" and many others. John recently (2008) released a new album entitled Revival receiving a Grammy nomination. CCR holds the record for the group with the most # 2 songs on the U.S. Charts yet amazingly they never had a # 1 hit.